If you’re not the get-your-hands-dirty gardening type, local-food consumption can be as easy as a weekly food delivery, thanks to the CSA farming model. You can select your own produce at some CSAs. Recent interest in self-sufficiency plus a spike in concerns about the safety of the food supply have led people to look for local options for sourcing their food. Three options have come to the forefront in the eat-local state of mind: backyard and community gardens, farmers’ markets, and community-supported agriculture. The latter took hold in 1986 at two farms in Massachusetts, inspired by the E.F. Schumacher Society of Great Barrington. Founded in 1980, the society’s mission is to “promote the building of strong local economies that link people, land and community.” And that’s just what CSAs are structured to do. As a shareholder, you benefit by having a supply of fresh, nutritious foods during the growing season and can meet the people who grow that food. Being able to visit the farm fosters a connection to the food and helps you feel secure about how it’s produced. In addition, a CSA’s bounty may result in the opportunity to try fruits and vegetables you might not have seen at the grocer’s. CSA’s benefit the community by helping to ensure the survival of small farms — and thereby a local supply of food — at a time when local farmers face increasing competition from supermarkets, which feature fruits and vegetables year-round. CSAs are located all across the country, serving cities and suburbs alike. Most CSA’s operate with an eye toward organic farming practices; although, they aren’t necessarily certified organic. According to Tamara Leclerc of Carraig Farm in Ashby, Mass., the USDA organic-certification process is expensive and fraught with paperwork, so many farms opt not to pursue it. However, she says, that should not scare people off — CSA farmers are committed to bio-sustainability. Most operate their farms using no chemical fertilizers or pesticides or function as integrated pest management (IPM) operations, where chemical pesticides are used sparingly and in a very targeted way when certain pests become a problem. Once you buy a share, you have to arrange to receive your bounty every week. Harvest and distribution arrangements vary by CSA, but most offer weekly distributions at the farm or at area drop-off points; some even deliver. Some provide a bag or box containing a preselected sampling of whatever was harvested that week, while others offer a “market basket” approach, allowing shareholders to choose whatever they’d like from the week’s harvest. Produce is what most people think of when considering the benefits of a CSA, but not all CSAs confine themselves to selling produce. 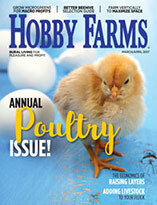 Some, such as Chestnut Farms in Hardwick, Mass., offer meat, and others add eggs and dairy items to their product list. Chestnut Farms is another CSA that, though not certified organic, is nevertheless committed to sustainable farming. 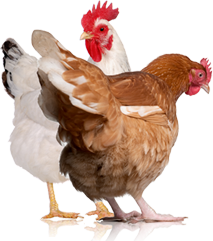 Humanely raised meats are a staple of CSA operations, such as Chestnut Farms’ free-range chickens. In general, seasonal shares in a CSA can run from $450 to $820; some CSAs offer half shares. On some produce-based farms, the season is defined as a six-month period; for others it’s eight months. For meat and fish CSAs, the season can be longer. Share payments are usually expected before the season begins, any time from January to early spring. Pricing on meat CSAs is structured according to how many pounds of meat a shareholder wants during the contract term. Chestnut Farms, for example, sells beef, lamb and poultry in six-month shares for two seasons a year. A six-month share at 10 pounds of meat per month is $480, while a six-month share at 25 pounds per month is $1,050. Some CSAs offer a work-share program, where shareholders can assist in planting, weeding, watering, harvesting, washing and packing produce in exchange for a reduced share cost. Workers have the added benefit of learning from the experts firsthand about growing food. Although the instinct of those with a mathematical mindset might be to do a cost comparison of CSA foods versus those at the grocer’s, there are elements of the CSA model that can’t be captured on a calculator. Food from a CSA is fresher and, as a result, more flavorful. A carrot from the supermarket can’t compare to one plucked fresh from the garden. The grocery-store model contributes to our country’s dependence on oil by relying on transportation to keep store shelves stocked. CSAs offer a greater variety of fruits and vegetables than the grocery store, and for good reason: Produce trekked into the supermarket was bred to have a long shelf life, and that’s not possible with all fruits and vegetables. So what most people have grown accustomed to eating is based on what grocery stores have chosen to sell. But there’s a whole other world of fruits and vegetables out there. Since the first CSAs started in 1986, more than 2,500 have sprung up across the country, their memberships numbering in the tens of thousands, according to www.localharvest.org. With their increasing popularity, many have waiting lists. For some people, belonging to a CSA has become the “in” thing to do. But before you go CSA shopping, make sure your expectations are realistic. Remember the risk-sharing aspect of a CSA: You might pay your CSA share in January and, depending on the weather, might not get in return the quantity or variety you expected. Produce from an organic-minded CSA doesn’t look as picture-perfect as that on the grocer’s shelves. If you’re put off by a blemish on a tomato or by carrots that aren’t uniform in size, a CSA might not be for you. Buying produce from a CSA isn’t the same as going to a Whole Foods Market and picking the best of everything. Blemishes aside, if you’re seeking a diet with a smaller environmental impact and you’re up for a little culinary adventure, CSA membership is a great local alternative. About the Author: Lynda King is a freelance writer and organic gardener who lives with her husband on 1 acre in central Massachusetts. 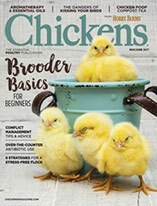 This article originally appeared in the Spring 2010 issue of Urban Farm.